Ted Andes wasn’t satisfied with making an awesome micromech army. 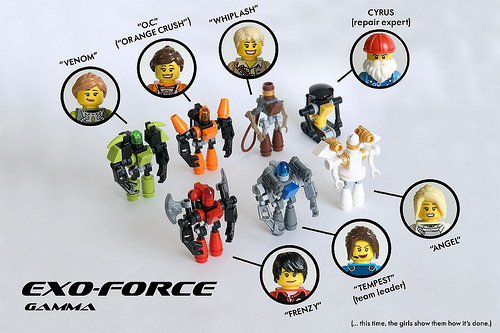 He had to give each one a minifig pilot and make a poster for the team. And he had to ensure a better gender mix. All of these are VERY nice microscale mechs. I used to love to build little mechs when I was ten… I have forgoten how to make these now. I would go to the midnight showing of this movie. Twice.